Sony's NEX-6 was a departure from the company's usual lineup of mirrorless cameras when it was introduced in the Fall of 2012. It slotted in between the various NEX-5 models and the NEX-7, and staked out a middle ground between the two, aiming to offer an accessible camera that offered a strong feature set for photographers. So you got a small camera with an electronic viewfinder and a degree of direct control. To this the NEX-6 offered two things that were yet to appear on any Sony mirrorless camera: an exposure mode dial and an ISO-standard hot shoe. The new a6000 sits in the same place in Sony's mirrorless lineup and offers a broadly similar feature set, but adds a number of significant new features (while also losing the NEX moniker of its predecessor). The resolution and processor have been bumped up, the most notable feature on the a6000 is its updated Hybrid AF system. Where the NEX-6 had 99 phase-detect points covering approximately 50% of the sensor, the a6000 has 179, with 92% coverage - by far the most comprehensive of any contemporary camera. This, combined with the new Bionz X processor, allows the camera to shoot continuously at 11 fps with subject tracking, according to Sony. The company also claims that the a6000 has the fastest AF performance on the market, though those statements should always be taken with a grain of salt. The only major losses are that the a6000 utilizes Sony's lower resolution, SVGA viewfinder, rather than its top-end XGA panel. It also loses the NEX-6's level gauge - which seems like an odd thing to remove, just to help it hit a lower price point. However, those cost-cutting measures seem to have worked: the a6000's list price is $100 lower, at $649, than the NEX-6's was at launch. The major changes here are related to the sensor. The new 24 megapixel 'Exmor APS HD' CMOS sensor has on-chip phase detection like its predecessor, but it covers a much larger area of the frame. Sony promises better AF tracking, especially when shooting continuously. 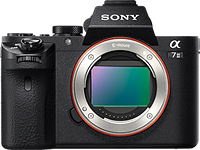 The a6000 uses Sony's latest image processor - Bionz X - which touts improved detail and smarter noise reduction as improvements. While the specs of the a6000's movie mode aren't a whole lot different from the NEX-6, users now have access to a zebra pattern (a live exposure warning that can be set to indicate a chosen brightness level), and can output 'clean' video over HDMI. The menus have switched to the new 'Alpha' style found on the a7 and a7R (for better or for worse), and the camera can now be controlled via a Mac or PC over a USB connection. The Wi-Fi feature is about the same as on the NEX-6, offering remote control from a smart device, the ability to transfer images from the camera and options for uploading to the cloud, across Wi-Fi networks. The camera can also download and run Sony's feature-enhancing 'Playmemories Apps' of which there are an increasing number. If there's one area that makes the a6000 stand out from the crowd, it's the camera's improved AF system. 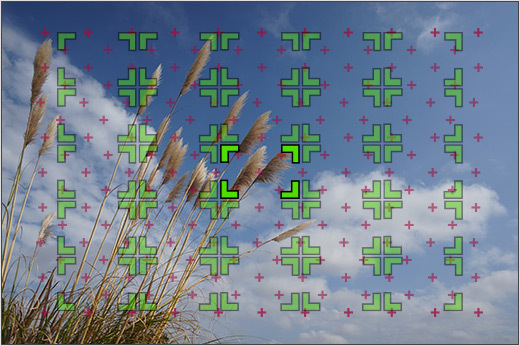 While the 25-point contrast detect part of the system remains the same, the number of phase-detect points has increased from 99 to 179 since the NEX-6. All of those extra phase detect points give you a much wider coverage area: roughly 92% of the frame, compared to around 50%. The benefit? A wider area that lets phase detection autofocus do what it does best: track moving subjects. The company's latest 'Bionz X' processor is considerably more powerful than the previous generation, allowing what the company says will be more sophisticated processing. Sony is being a little vague on specifics, but is touting the new processor as offering 'Detail Reproduction Technology' which appears to be a more subtle and sophisticated sharpening system. The company promises less apparent emphasis on edges, giving a more convincing representation of fine detail. Another function promised by the Bionz X processor is 'Diffraction Reduction', in which the camera's processing attempts to correct for the softness caused by diffraction as you stop a lens' aperture down. This processing is presumably aperture-dependent and sounds similar to an element of Fujifilm's Lens Modulation Optimization system (introduced on the X100S), and, as we predicted when we first saw it here, it's subsequently appeared across several brands, including Olympus. Finally, Sony says the Bionz X chip offers a more advanced version of its context-sensitive, 'area-specific noise reduction', which attempts to identify whether each area of an image represents smooth tone, textured detail or subject edges, and then apply different amounts of noise reduction accordingly. While most of the changes on the a6000 are for the better, there are a few things that have gone the other way compared to the NEX-6. For the sake of comparison we've also thrown in the a6000's step-down model, the a5000. In most respects, the Alpha 6000 is a big step up from the NEX-6 - the slightly smaller, lower resolution viewfinder is the only major step down in the specification. As you'd expect, the a6000 is considerably more capable than the lower-cost a5000, unless you want a 180 degree flip-up screen. The trade-off for that feature is the lack of an EVF. 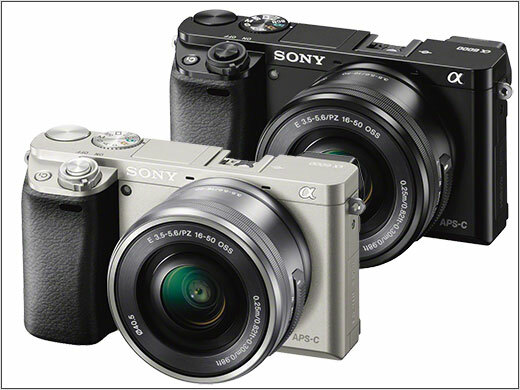 The a6000 is available in silver or black, at a price of $649/£589/€649 for the body and $799/£719/€799 for a kit including the 16-50mm F3.5-5.6 power zoom lens. Accessories of note include an 'active sling bag', screen protector, and body case. Some users may also be interested in the BC-VW1 external charger, as Sony only includes a USB charger in the box. We recommend to make the most of this review you should be able to see the difference (at least) between X,Y and Z and ideally A,B and C.
Could some kind person advise please? I want to maximise dynamic range during video capture with a view to 'grading' in post. How much range of adjustment does the 'contrast' setting on the A6000 offer? Does it actually include more of the dynamic range of the sensor if the contrast setting is reduced? Other cameras have features like S-LOG2 but I dont want the bulk and cost of those cameras e.g. GH4 and A7S. These little camera simply don't offer full tethering support. THIS is what has kept me from buying a camera for years now. Maddening. And I wish this was a standard item in the spec list. I find it very difficult to dig out info in this regard. The A6000 offers a full tethered option with the Remote Camera Control software, free from the Sony website. You can also tether natively using Capture One Pro. Plenty of good stuff, there. I pull back the question about charging (half an hour ago). It's already solved. Being connected with the micro USB the camery must be in the OFF mode to charge. In the ON mode it will discharge. I leave this question on the forum, maybe others will run in this same question/matter. A question abouit the A6000. When I want to charge the battery with the micro USB cable the camera starts with unloading the battery. It takes quite some time before reaching zero, and before it starts eventually loading. Is there a way to avoid unloading and start immediately with loading? I have a dilemma. I love the size of the a6000. The iq is plenty good for me. I do not wish to go any bigger. The build quality, layout and some other quibbles leave me short. What absolutely kills it for me is removing the sd card and battery. I actually found the evf to be better than the a7 but neither are very good. I want to stick with apsc. I doubt full frame or Sony. Going down to 4/3rd's does not have the iq of these cameras afaik. Is there something comparable but higher grade without going all the way up to the xt-1? The way the battery and SD Card are accessed are what kills it for you with this camera? I'm the first to say the SD Card is annoying to get out the first 20x times but it ends up being no big deal considering everything else. Even the layout has grown on me, although my Ricoh GR and 4/3 cameras are better. I have a 5N and thinking of trading up to the 6000; will I be disappointed with the 6000 at high ISO in comparison to the 5N? The 5N is a great camera, but mediocre AF and lack of EVF is giving me impetus to upgrade. The 6000 will actually outperform your 5n in every respect. It's a very worthy upgrade. in fact, I always shied away from the higher iso's because I thought it wouldn't be good, but WOW, was I surprised at how good my photos look even with the higher iso's. In fact, I'm getting some even clearer ones with those slightly higher numbers. Is there a way that the camera shoot whit a delay so that I can be in the picture?? Wirelessly via WiFi with a smart device, with an infrared remote, or via the timer option on board. you'll have several ways in which to do this. on the left side of the wheel on the back of the camera you will see a timer icon, and you can then choose your options: 2 second delay and 10 second delay as well as other options. did you ever use a camera before? really, do you have to be insulting to someone asking a question? that's why some people won't use this forum, because of caustic answers like yours. and this should be an open forum for everyone, not just ones who don't need answers. What lens was used by DPReview for the "image quality compared" section of this review? Certainly not the kit lens; and most certainly not the kit lens I have. I have a question related to the grid lines. Are they also visible on the EVF or only on the LCD screen ? Thanks. Like aliceinblack before me, I'm focused on purchasing the a6000. But I wanted to understand more about the lenses that can be attached to it. This would be first stand alone camera. So I'd like to make sure I get the right one. I plan on taking photos at sporting events. Nothing professional, just for myself. Will the lenses that are capable of attaching to the a6000 be sufficient? Thanks guys! 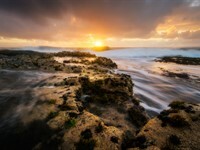 The kit lens is fine for most daylight shooting, though it has heavy distortion at the wide end and relies on in-camera corrections or post-processing. I typically use it at 20mm and f5.6 onwards where sharpness are a priority, but am pretty forgiving otherwise. If you like primes, the Sigma 19, 30 and 60mm Art lenses are great value for money, and perform very well too. If you need a better and more versatile zoom (that's also bigger), there's the 18-105 f4 G lens. Alice there is no reason why you need computer skills for using the A6000. You take pictures, copy them from the camera to your computer to store them, and you can use the memory cards straight from the camera to print jpeg pictures at any photo printing facility or at home if you have a printer. You only need some additional computer skills if you want to do some additional processing of your pictures like processing RAW format images or doing some adjustments to the jpeg files. It's up to you how much of the additional fancy features etc. you want to use. I also bought the Friedman/Warner A6000 Guide. I highly recommend it as it is the best resource that I've found that explains in detail how to get the most out of my A6000. Touch screen is for amateurs :-) and how do you use a touch screen when using the EVF? It's a really nice feature when shooting video and wanting to select a focus point! Just saying. But you're right: it's useless for when using the viewfinder, that's why it needs to be implemented in the right why. amateurs? you can pull focus in video using a touch screen. you can move the focus point shooting stills so much more easily using a touch screen. you can navigate the menus more easily and quickly. it is a great piece of technology. i don't understand why camera companies think it's for "amateurs". ten year from now every pro camera will have them. Yeah --I remember when we all said the same about the I-Phone. Seriously, not having a touch screen is a con these days?? Is this for photography or posting to facebook ffs! Not practical at all in winter. There are many things that aren't practical in winter. Should they all be discarded? touch screen -> quick focus selection. major pro in my opinion. like a dedicated button. Dpreviews ‘Cons’ for the a6000. Oups on the conclusion! An otherwise fantastic and top-level camera ruined, for me, by the removal of the electronic level gauge. I use this a LOT on my NEX-6 and would not want to give that up. Yes, I have spirit levels I could use, but then, it's much easier to simply call up the electronic one vs fussing with a slide-one or screw-on, as I had to on my NEX-3n (but you expect it on such an entry-level model). Also, you can't see attached ones while using the EVF--and once you start using an EVF on the better models vs having to use the LCD, you don't want to go back. 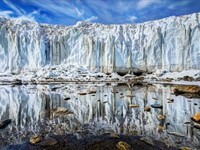 Strange color rendition in outdoor landscape photography. Prone to post strong blue/purple cast especially in auto white balance mode. This problem is very bad for demonstrating skin tone. In this regard, Nex-6 performs way better than A6000. I had the NEX-6, and bought the A6000. Unfortunately sold again due to the poor EVF. Huge mistake Sony and shame on you! An otherwise perfect camera. But there is a noticeable difference in the quality of detail reproduction. I totally agree. I took my Nex-6 to store for a side-by-side comparison w. the A6000. I was amazed at how much worse the A6000 EVF is, given the many reviews to the contrary. And focusing did not seem to be better under indoor lighting. And I use the Nex level gauge, which is missing in the A. Sony remains consistent in its giveth and taketh away marketing scheme. I'm keeping the Nex-6. The main use for an EVF is to see your framing. It could be in B & W without problem. With old-fashioned optical EVF yes - but not with the new electronic EVF's. Have you tried the electronic EVF on a Sony A7? The new electronic EVF's are offering numerous advantages over optical. Some of these benefits are maximized when using EFV's with very high resolution. Among other things, manual focus with old lenses. I own a number of Canon lenses including L 70-300mm zoom lens. Is there an adapter I can purchase to fit this in Sony A6000? Thanks! "Sony should be applauded for essentially continuing to give full control over the camera while shooting footage - something none of its rivals currently do. " Ummm...don't know if you consider Panasonic (GH3, GH4) to be a "rival," but they certainly do allow full control while shooting video. They even allow you to choose whether to use the video button or the shutter button. Love the camera and its fastest AF features. The following things are not cool. Movie mode button position is not convenient. Usb charger is not good. > In low light, use viewfinder. If you're the sort of person that wants to use a touchscreen, and don't want to use the viewfinder, the recent Sony A5100 seems a better fit for you. Let me know the suitable cheap and best external flash as well. Loved my NEX-5N but its interface was not too well thought out. Also losing my accessory connector for the EVF when I wanted to use the flash was not so hot. Loved the images though. If I was going to take the plunge on a small Alpha, I think this would be it. I have no stake in the E Mount lenses, so I am in no hurry to jump back in on the Alpha line. It does have me curious though. You've written a lot about the A6000, but not whether it's possible to sync it to a studio strobe. Is it possible? New A6000, and having an issue - wish to reprogram one of the Fn or C1/2 keys or something NOT on their "list" - in this case, wish to make a quick access key to turn on/off the Remote Control. Anyone know if this is even possible? Anybody know what lens DPR used on the A6000 to take the Studio Scene comparisons shots? A very sharp lens, better than the lens used for ia. the 70D. I almost decided to start saving up for a6000 until I read this comment. I am sure that 55mm ZA lens is EXPENSIVE ? dxomark can give you an idea how a lens performs technically. It does not take into account the handling / bokeh and character of an lens. As you can see there are some good E-mount primes out there, Zoom lenses less so. Cheap and good primes are the 19, 30 and 60mm sigma and the 50mm OSS from sony. I do not know how fast the A6000 focus in combination with the sigma lenses since I use an older body. Planning to purchase alpha6000 body. Is the Sony SEL16F28 16mm f/2.8 Wide-Angle Lens better than the kit 16-50? I have not seen a direct comparison. Have you? Sony VCL-ECU1 Ultra Wide Converter, 0.75x. I would view both of above as potential walk about pocketable lenses. I assume that neither would approach the Zeiss 12mm f/2.8 Touit Series for Sony E-mount NEX Cameras which I'd really like to have... but at $710 new, $600 used I'm not quite ready to spring for that... and it looks like quite a large hunk of glass... there would be no dropping the camera in a big pocket with that thing. So for someone who shoots only very wide to slightly wide angle focal lengths, kits lens versus the SEL16F28 16mm f/2.8 seems like the right question. What say you? Hello DPREVIEW. I have the Sony-a6000 and it does not have an x-tra fine jpeg setting. It has fine and standard. Please contact me if this is incorrect. Thanks. Technically all the NEX cameras were Alpha-NEX so its been the case for many years BUT I do take your point - its confusing to exisiting owners let alone the average buyer - Sony's brand management and communications are amongst the worst in the industry in my opinion which must be frustrating for the guys actually designing, making and selling the cameras.... and I say that as a long term owner and user of alpha mount and NEX cameras. In time, this will be moot, maybe in 5-7 years. Although they never said it, and will never say it, the long term plan really is to eventually kill off the SLT line. Thus, in time, Alpha will just be mirrorless. Once they build the first global shutter alpha ILCE, the handwriting will be on the wall for DSLRs and SLTs. But it will be a gradual phase out stretching maybe 7-10 years. You'll know this is happening when the no. of SLT they introduce each year is outnumbered by 1:3 or 5 or more. This morning I had the opportunity to test this camera for about one hour (formerly I tried it in shop only). The af is impressive to say the least, compared to my Samsung nx300 (even with its fastest lenses on, like myn16-50 f2-2.8). I was able to lock focus on a passing biker and on a flying bird, with great precision. Also the buffer is great (the one of nx300 is ridiculous). The evf is not as good as the one in x-e2, but does not show rainbows as the one in nx30 does. I don't like the lack of a touch screen. I use it for focus point setting only, but that is handy. The rear display is about at the same level (quite low) of my nx300. Not visible in sunlight. But a6000 has evf, so it's fine. I love the form factor, feels great in hands and during use. I'm still perplexed about lens offering by Sony. Some good but expensive ones, many not so good ones. If you want to see a brilliant review on the A6000, go to Gary Fong's review on youtube.com; that will definitely help you make the right decision before you purchase. rajusa, thanks for the Gary Fong’ review. Very interesting camera indeed that A6000. Nice to know there is a eyeball focus point, very useful for portrait! This was the worst review i watched a long time ago. I don't even want to investigate if he is a good photographer. even advertisements can be better than this. Having used it for a couple of months I can say it gets a lot better as you zoom in - so not completely useless. Just picked one up yesterday. I bought a 5N as my travel/grab and go camera two years ago when I didn't want to lug my SLR set up, which is currently a 5D3 and assorted lenses. I invested pretty heavily in the Sony NEX system with the Zeiss 24 mm and Sony 50 1.8 primes, assuming the 5N would grow on me, given it's IQ. But even with the optional EVF (expensive but worth it) I could never get comfortable with the camera's clunky menu system. Loving my recent Fuji X100s, I started to contemplate the move to the X-T1 as my travel system. But then I read the great reviews on the A6000 and (reluctant to take the hit on selling the E mount lenses) decided to give Sony one more chance. I'm impressed. It's what I hoped the 5N would be. The sensor and overall IQ is even better (it was never the problem with the 5N anyway) and the AF is impressive now. The UI and menu system and customizable buttons are so much better. Pop-up flash and built in EVF are just good enough. A winner, Sony! Both mine today. I use it as a take everywhere, as an addition to my heavy Nikon 800 and all the pro Zooms. I must say, that I'm happy with the speed of the Autofocus and the quality of the pictures. The 24 mp Sensor is guide good. You can't get more for this price. Every single Nikon lens that I own costs far more than this Camera. I like it. And to really blow your mind, order the Metabones adapter for Nikon lenses. There are many things to like about this camera, but I really wish this review came down harder on the rear screen. It's not an exaggeration to say it's terrible. The screen itself is useless in the sun, due to the glossy finish, and the flip design is far too limiting. The only practical use I can think of is for taking shots straight on, from directly above or below, provided you are indoors. I find myself longing for the articulated rear screen of my Canon G2 from over ten years ago. Even though it was the size of a postage stamp, it was far easier to see and was useful for taking shots from a variety of angles. I understand that there are limitations due to form factor, making an articulating screen difficult to squeeze in the package, but it's not impossible. A drop and swivel design would work. For better visibility, some anti-glare solution is a must. Could agree more given my experience with the NEX 6. Sounds like it's the same with the a6000. The screen glares out in bright sun--brightening it up so the image is visible blows out the colors so you don't have any real idea of what you've shot until you download the files into Lightroom. Overall, not a confidence building shooting experience. It's a shame because the sensor tech and IQ potential of Sony cameras are so high. I'm going to put a low glare cover on it, and that may help some. I'd be content with that solution but for the lack of flexibility due to the hinge configuration. With the viewfinder in place, the main purpose of the screen for me is to frame shots that I take from extreme angles or for candid shots. In portrait orientation the hinged viewfinder isn't functional. It's a compromise I'll have to adjust to. Just wish the reviewers would give a little more weight to these practical aspects, rather than focusing so heavily on pixel count, for the benefit of both consumers and the manufacturers. The odd thing is, something like the clickless aperture ring of the RX100III receives an undue amount of attention from a "user experience" standpoint. Guess it depends on the reviewer. And then there is that low res dark EVF that makes difficult reading info above and below the picture. Menus look atrociously low res too. Select Monitor Brightness = "Sunny Weather" and you should have no problem using the screen in the sunlight. think the detail on the EVF is great, have the NEX6 and think the A6000 actually looks better, so not sure what the problem is with the 'low res' (you say, joker) EVF, its brilliant I think, use it all the time. Maybe you forgot to adjust the diopter... my menus and settings are crisp. This camera is so tempting, but what about the lens lineup. The kit lens is crap it looks, so there is only one way, Zeiss which is very expensive. Why doens't Sony make some descent lenses of their own? Dellis12, you write that you have som really sharp E-mount ones, which are they? Does all e-mount fit the a6000 and what about autofocus etc? There's no substitute for good glass and it costs money--that's the way it's always been (Canon L, any Leica, etc) and always will be. I have the Zeiss 16-70 and the Sony 10-18. They're not Canon L or Leica level glass, but as good as it gets from Sony at this stage. I've found them both to be quick focusing, sharp and able to produce wonderful images. It's the NEX 6 user experience that keeps me from using them more often. The sigma range of e-mount lens are nice and sharp, I have the 19mm & 30mm f2.8's myself. The 30mm works out sharper than sony's own 35mm f1.8 although the oss and wide aperture are useful and the bokeh is a lot smoother. kit lens is fine, read a few reviews on it, not sharp like a prime but its resolution figures are more than fine (for a kit lens). the PZ lens is great size wise too and 16mm (24mmm in 35mm terms) is nice and wide, nope, the kit lens ain't bad at all. But yes, that 16 to 70 Zeiss seems just awesome! Sony's constant tinkering with its products is disturbing. Equally disturbing is when the model you have is almost instantly obsolete! Sony's commitment to some of its products must be questioned at this point. The Sony A35 DSLT. It has some features that are better than the A58 (better LCD) but lower resolution. It looks like to me that Sony is dropping the low end in favor of the A3000 which appears to have some unfortunate compromises. I really do not find innovation to be 'disturbing', rather on the contrary. So I accept that my Nex-6 was replaced with the a6000 after 18 months. I find the lack of a replacement model for my 7d much more disturbing - after 5 years. As has been said before, computers, smartphones, and camera bodies, are on a short life cycle. It is the glass that matters. This is true except for Canon. I returned a 7D for having atrocious noise 4 years ago. This year I tried again. SL1: I really wanted to like the camera. I loved the size. However, the sensor noise was just as bad as 4 years ago. So I returned it. Then I discovered the a6000. So I moved from the worst APSC sensor to the best. I'm happy with a small camera again. The last time I moved big to small and was really happy was 1970! Lenhof to Pentax 6x7 SLR. That tiny little 6x7 was a dream machine. Flash sync at a 30th of a second. Talk about a large mirror. Those were the days! I found the a6000s interface to be quite nice. Actually, you have two entirely different ways to interact with it. The menus are completely different from your 6, since it uses alpha menus. But I really like the short cuts to just about everything with the buttons. And you can customize those buttons so everything works just the way you want it to. However, why not rely on your own experience instead of what I say. 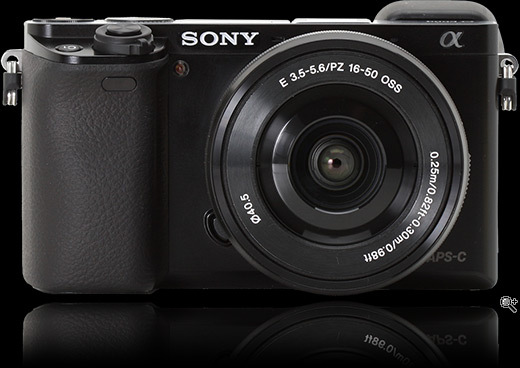 Order the a6000, all the big guys have 30 day return policies. Give it a thorough working out. If you don't like it return it, and order the other camera. And test it out. Then you can still return that one if you decide to go with the a6000. No guessing. I like the a6000 much more than my D800, D700, or Lumix G3. It is just way more fun to shoot with. I love it. And yes, the IQ is superb. And I just love that 11fps. I'm getting shots I never knew I had missed. Appreciate the reply and will give it a try. I really like the Sony IQ overall (Have RX100, as well) and hate to have to part with the lenses if I really don't have to. Just once bitten, twice shy. Thanks! The OM-10 is great to handle but the IQ is disappointing after Sony. I think the A6000 is a jump over the Nex6. Go into a shop and see. "Lack of included external charger makes keeping a second battery charged awkward"
Not much of a con when you can get an external charger(vivitar) which works by both AC, and DC(car lighter) for $12 delivered from Amazon. I've been using it for a couple of months with my A7R and it works perfectly. 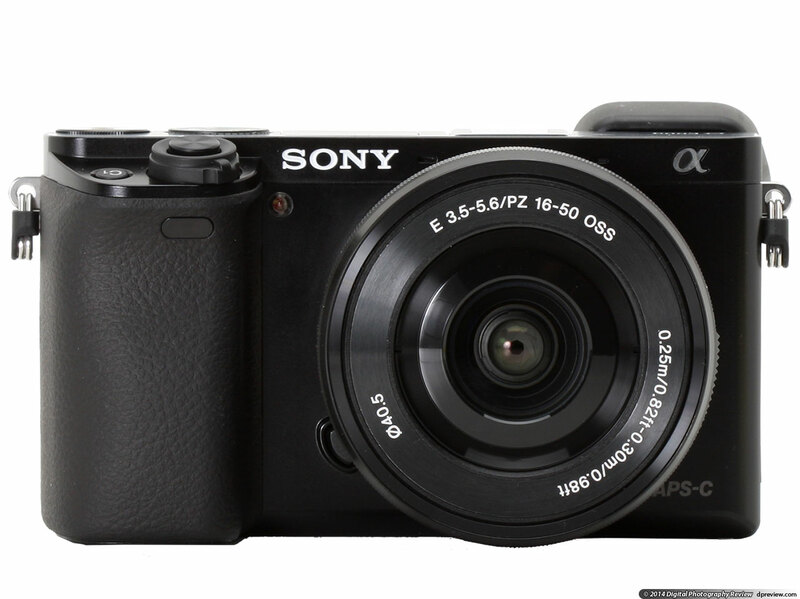 Can't really comment on the a6000, but I am thinking about getting one to compliment the A7R. I have the a6000, and I like shooting with it much more than my D800. It's just fun to use. D800, not so much. A7R: I've been reading about shutter vibration causing image degradation at certain shutter speeds. Have you seen any of that? I heard about it and it seems brought a lot of concerns but my friends used it said didn't find it. It's a valid complaint, and I'm glad it's included in the review. As you point out, a charger costs only $12 retail, meaning that Sony is excluding an important piece of the kit to save about $5 per camera, banking on selling the charger as an aftermarket accessory for $50. Similarly, they don't include the caps for the body or lens when you buy the kit either. That nickle and dime sales strategy is annoying. A7R is useless between 1/60 and 1/200. Well, useless as in "instead of getting 36mp resolution you get 16mp resolution" because of the shutter vibration. I use FE 55 lens. Wow! Not good. What did/is Sony Tech support doing about it? Complaining about needing a $12 charger with a $600 camera is silly at best. Thanks for the tip. I saw the Vivitar kit (charger, auto adapter, AND extra battery) online but I was waiting for a positive online review before ordering. What a great deal! Or from the computer USB port. I wish it would be possible to shoot while charging though, that would be nice! Anyone used its feature of DMF? It is said it will return back in 2, 5, and never seconds after enlarging focus for fine adjustment. But, it doesn't return back as specified, 2 seconds for example. The time to return back will be much longer or never. As such, it can't be good for fine adjustment on focus. How do you deal with it? Please kindly share your experince and way to overcome. Thanks! Read your post, chased down some comments. One said it works as described in MF mode. I don't know if that is true, but I tried it. In MF with focus peaking enabled, it zooms as soon as I turn the focus ring. Then releases as soon as I touch the shutter button with peaking showing the item I focused on in focus per the peaking highlight. BTW: focus peaking is off during the zoom at which time I focus visually during the zoom. So what does/should DMF be doing that is any different from that, I don't have no idea. Thanks a lot for your comments after test. Do appreciate! In fact, I have been used NEX-7 for quite long time and now it has worn out. Also, because of the faster focusing speed a6000, I got a new a6000 to replace. I do like to "Anti Motion Blur" Mode of NEX-7 plus DMF under "AF/MF Select" and I think it is the best combination to capture almost any scenery that I couldn't miss. After having a6000, I also set with this combination and I immediately found a6000 doesn't work well this way as I described earlier. Will anyone use this way as well? Did you find same problem in your a6000? I'm wondering how do you deal with it or needs Sony to upgrade firmware or any remedy to take? Do appreciate any inputs. Thank DPJoe2 again! I ended up returning the camera for other reasons a week ago, but with the Zeiss 16-70 lens, I found DMF worked great. Much better than with the Panny G5. I can't tell you the timing, but once you stop focusing, I think it returns quickly, which I liked (since I want to see the whole picture again). Thanks nrshapiro! That is exactly what I want: I want to see the whole picture again to reframe the shot. It sounds you didn't encounterred the problem. It is the problem of this of my a6000. It is not about the lens. It is about the body of the camera. Thanks againg f or helping me to locate where the problem is. Even though I haven't tried the A6000, I would like to share how it is like on the NEX-6, it should be similar. When using the kit "Powerzoom", with DMF enabled, turning either ring normally controls zoom. Once you have half-pressed the shutter to focus, keeping the shutter half-pressed and turning the *front* ring (around the lens) will adjust focus, showing the peaking display. The 2 and 5 seconds work as expected for me - I also find 5 seconds too long, since I'd rather return to the "full frame" quickly. Personally, I think it would be a better idea to assign the front ring permanently to focus with DMF, similar to MF mode. We always have the zoom "lever" to zoom. Oh, one quick question: Does the focus magnification also have two levels on the A6000? With the NEX-6 there are two levels, with odd numbers like 4,8x and 9,6x. It's not comfortable to switch between the two since the zoom toggle soft-button is not easy to reach while holding the camera, and I really don't see much more detail with the 9,6x zoom. I would like to know if there are still two magnification levels, and if it's really "worth it" to switch to the higher magnification. Maybe if they relocated the magnification zoom button to an easier-to-press location.. Relax on the touch screen: as soon as Apple completes its deal to buy Sony, all iCams will have a touch screen and iOS8 for cameras. Bull yes, but could it, should it happen. I don't have any native E-mount lenses (my problem) so I cannot see any advantages (only disadvantages) in the A6000 over the NEX6. Chunkier body if that lights your fie and more megapixels to make it burn brighter. Throw away a good evf certainly leaves room to bring it back in a later model as "an improvement". Did I miss something? Much better interface. Faster and better AF. Better faster LCD even of lower res. It is obvious DPR are strongly pushing sales for the a6000. It is being featured on the front page headlines for the longest time already. Obviously. It's not like they just recently reviewed the thing and figured that it may attract a wider-than-usual audience because of it's price point and capabilities (and size). Nope. Don't you hate it when your flash bounces off your tinfoil hat and ends up blinding you? gets on my nerves all the time. I wish they reviewed something that would stop that and put it on the headlines. It would sell like hotcakes, amirite? WOW Random, Let me enlighten you. I used to have that foil problem too. Then some smart guy invented black matte foil for photographers. Haven't been blinded since I started using it. B&H and Adorama both have it. Try it, you'll love it. Hmph, well they should review it and put it on the headlines. Along with a guide on how to pick out sarcasm in photos. I'm using the A6000 with the 16-70 zoom and the 32mm touit and it's a great alternative to my 5D3 with ZE and L lenses, when I need to travel light but still get excellent IQ. Is the 32mm touit native E-mount and is it AF or manual focus? It is available as a Sony E-mount or Fuji, and supports all camera functions, including AF. The persnickety panel is on the chase again. I care better about having fun and keep my mental balance than falling to the endless pit of the new model's dissertation. I went to the Sony store, asked for the demo, which was brought to me by a very nice salesperson, and he explained to me about the greatness of this new camera. Boy!! Was I ever satisfied and convinced? YES!! I ordered one and the 18-105 zoom. Both items with a manufacturer's rebate!!! Do I sound simpleton & stupid? Maybe. But I bought a product thinking of the great innovations I did not have 20 years ago, instead of buying a new product thinking of what I'll be missing. Bitching about what is not there. Many years ago I understood that I wasn't going to own THA camera, wasn't going to shoot THA picture, and wasn't going to win THA contest. You're right, they are on patrol. You know, some people wouldn't be happy if you hung'm with a new rope. Spot on. I remember shooting with a Polaroid proof camera before setting my studio exposures. My pro dslrs from 7 years ago doesn't hold a candle to this camera. I think it's a matter of time, and perspective so many commentators muss here. I'm sorry but pressing a button 2x to check critical focus is not a deal breaker for me. Thanks for the departure from the world of micro-managing camera gear. Many of us are looking for the perfect gear, while after buying said equipment fail to spend adequate time actually taking photos. The equipment is treated like a trophy rather than a tool, AND the most flexible element in the tool bag is US, the user! As a happy owner of the a6000 I couldn't agree more. Besides i use adapters to fit MF lenses, so the selection of lenses is virtually limitless! That's one huge benefit with mirrorless cameras i.m.h.o. I love this camera sensor and PDAF. However I know Sony would focus on larger FE lenses than smaller ones optimized for APS-C. One thing I am longing for is the Sigma 18-35 mm f1.8 lens which neither Sigma will port to E-mount, nor Sony will deliver (though they could make it just like Sigma but smaller since flange distance is smaller for mirrorless). No E-mount lens roadmap is preventing me from buying this camera (along with absence of fast standard zooms - f1.8 fast). Instead I am considering Pentax with Sigma 18-35 f1.8 that is soon to have a Pentax port (then that lens will benefit from in body image stabilization as well ). Pentax K-50. I know - sensor is not as good as this, but I want the 18-35 f1.8 lens (that does not have stabilization on it's own) on a stabilized body, so will have to settle for Pentax K-50. Still thinking about it though... thing is Sigma is really innovating in the lens space and has good value for money but they don't really have much of support for the E-mount. This morning, Sony shop in Lodz (Manufaktura) Poland. I wanted to check handling of this camera but salesman didn't want to disconnect it from alarm system. SONY is it OK?! This might strike some people as a dumb complaint but IMHO it's very real. I tried the NEX 6 several times in the Sony store while it was attached to the alarm system, and when I finally brought one home I found the handling surprisingly different in ways that would have been valuable to know beforehand. The alarm system also blocked the SD card port which was a bigger problem for me, since it stopped me from actually taking some pictures to look at later in Aperture, which would have alerted me to the fact that the RAW files have terrible vignetting with the kit lens at 16mm unless you use Lightroom which automatically "corrects" the image. Just got this camera yesterday and just love it..IQ is fantastic and why people hates the EVF? Its just perfect! Just doubting people who always talk about this is not how dslr should be, they should have the conventional viewfinder ,conventional mounting capabilities,conventional controls..Its all about innovation..How are we going to move forward without these new innovations..Thats the reason Sony are moving forward now and cant believe there are still people looking backwards, not willing to step up..
Because they think MOAR resolution = MOAR better, disregarding any other factor. And yes, they are as annoying as the spelling. I don't recall seeing so much innovation by one company through so little time. They keep churning unexpected goodies at inexhaustible rate, and not even solely professionals oriented. Sorry to ask what may be a dumb question, but the reference to IQ ... is it image quality or something else? If the answer is yes that I assume that this is a direct result of the better sensor? I was given an A5000 just last week and am debating taking it back and "upgrading" to the A6000. From the reviews it appears that this model is improved in several respects and I am inclined to do this. Am I right? (I am new to this category having used both 35mm SLR models (less and less these days) and the Canon S95 for point and shoot for most photos). Yes, image quality. Personally, I would upgrade given your situation. a5000 should be almost as good, and you would probably be hard-pressed to even spot a difference between photos taken side by side with both cameras. The main reason you should consider upgrading is if you want/need an EVF, otherwise enjoy your camera, work on your skills (the real difference!) and wait for the next generation. Invest in lenses for a much more relevant IQ increase. AF is completely different between the two models. There are 0 phase detection sensors on the a5000 versus 179 on the a6000. Fair enough DPJoe2, though again the OP might be hard pressed to actually notice that AF difference in normal usage. If he finds AF a huge problem then it would make sense to upgrade. Another gadget from Sony. Gadgety controls, no charger, noisy as all get out, and a poor quality lens. Typical Sony. Sony makes great sensors, but they have no idea what to do with them. Yes, all camera makers ship less than optimal kit lenses, if they include one at all. This one is available without a lens. I agree with you, Sony makes great sensors. No ifs, ands, or buts, this is one of them, in my direct comparison of it to the one in my D800 shot for shot. Odd, mine included a charger. I suggest you return yours, and demand a fresh package. And I love the WHYSIWYG aspects of the EVF. Imagine, seeing what you get before you press the shutter button, and after in the EVF in any light. Unlike my D800 where you can't see squat on the screen even in mild daylight. And I'm delighted Sony included that gadgety 11fps feature found in the likes of the D4S and 1Dx, but not on my D800. I partially agree with you about the controls: Some of the time I hate it, that few lenses have aperture rings on them anymore. You know, like the Schneider f 5.6, 210mm for my Lenhof 4x5, or the 105mm f2.4 for my Pentax 6x7. So thanks dual12 for reminding me of all the things I love. Do you actually own this camera? Or is your comment based solely on this review? What does gadgety mean to you? Lack of direct dials? Not like some camera you used before and expect this to be like? LOL...why would I own it? It's a gadget, not a camera. 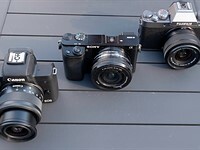 @DPJoe2: To their credit Fuji has a good kit lens, leaps and bounds better than the one that comes with NEX cameras, though also bigger/heavier and of course the Fuji cameras can't compete with Sony in many other aspects (AF and other "gadgety" features, which are extremely important!). Of course dual12 is a troll so there you go. No troll, but I know a gadget when I see one. The first digital camera I bought was a Sony 707 that dppreview praised. Huge mistake. Piece of junk. Sony hasn't changed much since. @Jeremy, thanks for pointing that out. And actually, I wanted the change my 'Yes, all' to 'Yes, many', but I was timed out and couldn't. @dual12, I understand your position given your past experience. I have a similar position regarding my Mazda RX3, of 1973. It was Motor Trend's Car of the Year. It was crap. I called it Hiroshima's revenge. And I will never own another Mazda under ANY circumstances. Period. Full stop. And I will never read another word printed by Motor Trend. Ah..., that felt good. dual12, I won't try to change your opinion of the a6000, and if you were right, I would agree with you. Take it from someone who actual owns the camera (like me for example) - It's a great camera, albeit not with the kit lens. > No troll, but I know a gadget when I see one. Well... I know a troll when I see one. I own the camera, not the gadget. It produces great images, even with the kit lens. Just stop down a bit and it sharpens up great. Or you can spring for a sharper lens. In any case, it is a nice camera, the images of which, compete head to head with my Nikon D800.